Ring of Honor makes its long-awaited return to Buffalo, NY on Friday November 9 at the Buffalo RiverWorks with the third night of Global Wars! 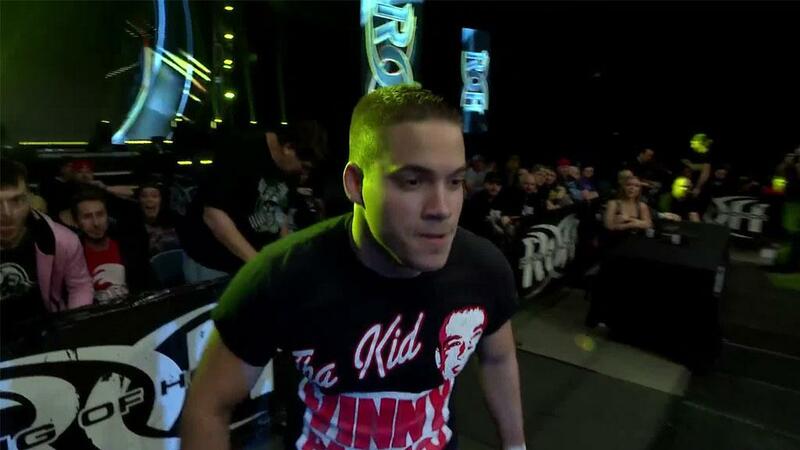 All four nights of the Global Wars Tour will air LIVE for HonorClub and the first match for Buffalo has been signed! 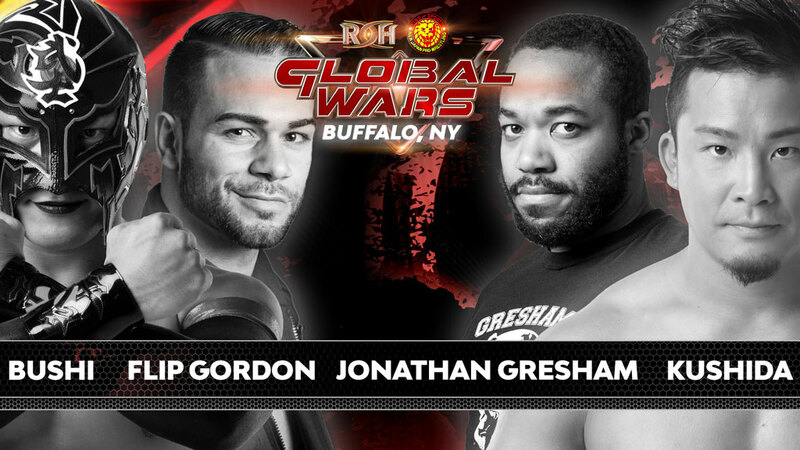 Four of the top junior heavyweights in the world do battle for the very first time in a Four Corners Survival Match when it is IWGP Jr. Heavyweight Champion KUSHIDA taking on Jonathan Gresham, Flip Gordon, and BUSHI in Buffalo! 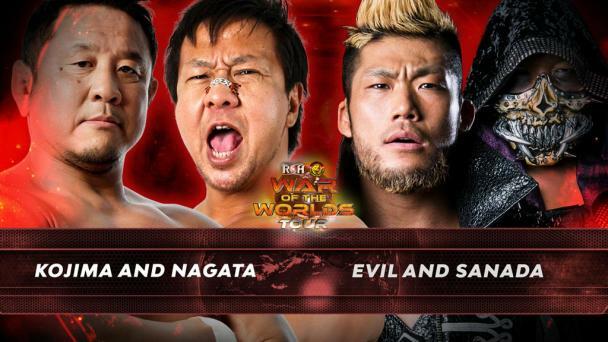 KUSHIDA is in his sixth reign as IWGP Jr. Heavyweight Champion but feels the pressure of those trying to ascend to the top of the card to challenge him. Two men in Gresham and Gordon find themselves in KUSHIDA’s weight class and would love an opportunity to knock off the champ, particularly Gresham who dropped a technical classic to KUSHIDA earlier this year in Fairfax, VA! The fourth competitor, BUSHI, represents Los Ingobernables de Japon and has once defeated KUSHIDA for the IWGP Jr. Heavyweight Championship! Who will pick up the victory in this Four Corners Survival Match? Buy your ticket and join us LIVE or watch LIVE as all four nights are being broadcast LIVE for HonorClub!